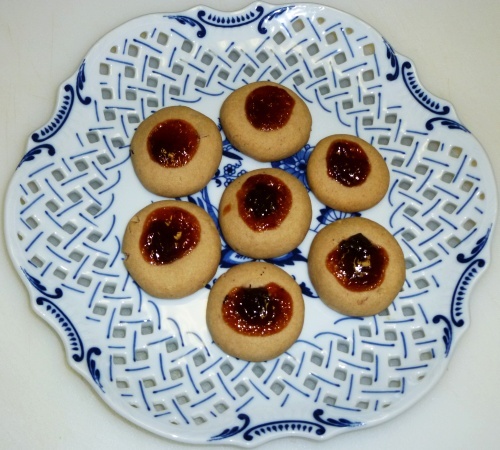 These cookies combine the crisp texture of shortbread with the tangy sweetness of fruit preserves. You can use orange marmalade, or apricot, rasperry, or strawberry preserves. Place a chocolate chip in the indentation of the thumbprint as a variation before adding the preserves. Beat butter and sugar until light and fluffy. Add egg and vanilla, mix well. Add flour and baking powder. Mix until dough forms. Add chopped pecans and knead by hand. 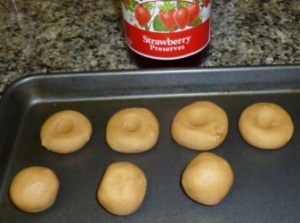 Shape dough into balls one inch in diameter. Put the balls on an ungreased cookie sheet and press them with the thumb to create an indentation. Top each cookie with 1/4 tsp. fruit preseves. Bake for 20 min. at 375 degrees F or until lightly browned. 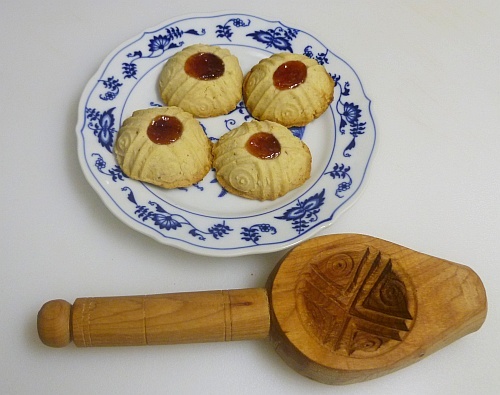 A shortbread mold can be used to shape the cookies before making an indentation. This method produces cookies with a more decorative appearance. See image below.